Want a magical experience for your dental patients? Vivarra adds life, allays anxiety. Who doesn’t love a dental riddle? Start your Monday with Shea. Joey Aquilino spends the Thursday car ride from Toms River, N.J., excited to see Shea, a friend in Lakewood he hasn’t visited in a few months. That same December day, Shea’s morning routine is complete: teeth and hair brushed, out the door to work with Dr. Donn Winokur. After one last glance at Shea’s picture on his dad’s phone in the car, Joey and Anthony Aquilino enter Ocean Family Dental together. “In the past he would be upset coming through the door,” says Anthony Aquilino, who has been scheduling dental visits for his special needs son since Joey was 6 or 7. Joey is now 35. 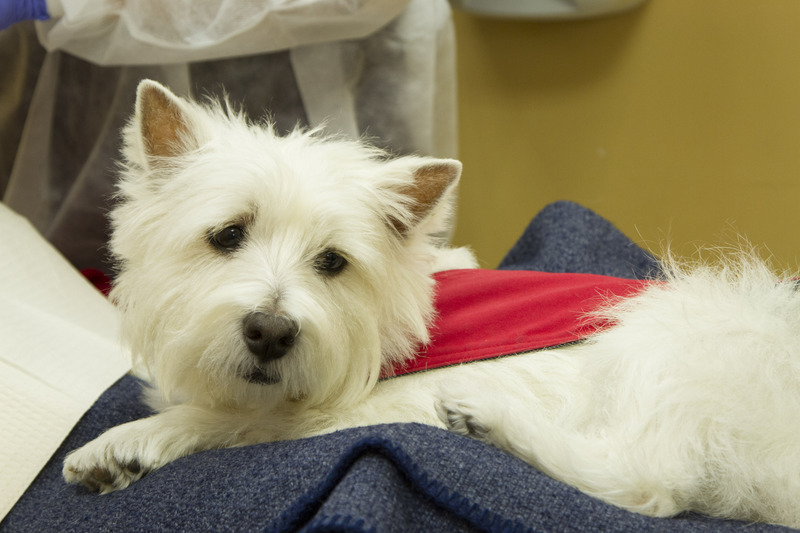 That was all before therapy dog Shea arrived on the scene in 2011. “We came in one day and Dr. Winokur asked ‘Would you like me to try Shea with Joe?’ It was an instant miracle, it’s incredible,” says Aquilino. Specializing in pediatric dentistry since 1973, Dr. Winokur found himself drawn to helping children, especially those with special needs. After attending the School of Dentistry at West Virginia University in Morgantown and completing his residency at the Children’s Hospital of Pittsburgh, Dr. Winokur traveled to the Pacific Northwest to complete a special program at the University of Washington’s School of Dentistry. The DECOD Clinic, or Dental Education in the Care of Persons with Disabilities, is guided by the precept that people with disabilities frequently have serious dental problems and difficulty in accessing dental services. “I just really want this to get out there, because people should do this more often in their offices. Especially with special needs patients, it’s tremendous,” says the doctor.